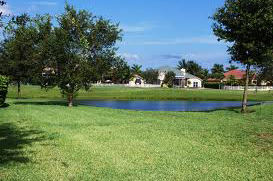 Davie and Southwest Ranches are located in beautiful Broward County in South Florida. Both communities, known for their magnificent homes and upscale atmospheres, offer close proximity and easy access to major cities throughout South Florida like Miami, Coral Springs Boca Raton, West Palm Beach, Fort Lauderdale and many others. Davie acre homes and Southwest Ranches acre homes offer great value for prospective homebuyers and a prime location in the heart of South Florida. Davie acre homes and Southwest Ranches acre homes come in a wide array of options such as single-family homes, estate homes, coach homes and luxurious multifamily homes as well. The two communities are highly regarded for their prime real estate, wealth of beautiful home choices and easy access to nearby beaches, golf courses and other first-rate attractions. Southwest Ranches blends modern luxury living with the natural beauty and history of South Florida’s rural past. The community boasts spacious homes amidst a picturesque rural setting, making it ideal for everyone from retirees to families to those in search of a vacation home. Davie is a quaint and charming community that boasts a plethora of luxury homes and excellent amenities. Situated in the lush landscape of South Florida, this town is one of Florida’s premier upscale communities. Like Southwest Ranches, it offers a unique blend of luxury, prestige and an idyllic rural setting. Davie and Southwest Ranches are served by the Broward County Public School District. Outstanding schools within the district include Davie Elementary School, Indian Ridge Middle School, Nova High School and Western High School. Top-notch private schools in the area include St. Bonaventure School, the Parkway Christian School and Conservatory Prep Senior High School. The local economy of Davie and Southwest Ranches is robust and consists of key growth industries like real estate, tourism, hospitality, healthcare, education and the like. Major employers in the region include Florida Atlantic University, the Port of Miami, Citrix Systems and Tenet Healthcare. The area also boasts a thriving and diverse small business community.